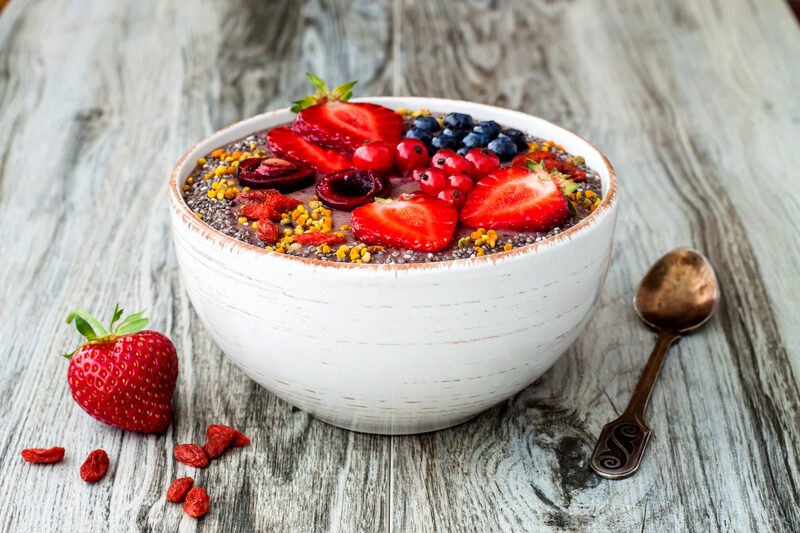 Toppings can vary – we suggest: seasonal fruit, chia seeds, pollen and goji berries. Top with toppings of your choice. We suggest seasonal fruit, chia seeds, pollen and goji berries.